The new Maruti Alto 800 is creating waves across the Indian markets with its brand new looks and features. It is coming at an irresistible price tag that draw the attention of many budget buyers. On the other side, Chevrolet Spark received a facelift and has been launched in the markets in October by the General Motors. This car falls in the small cars segment with affordable pricing. 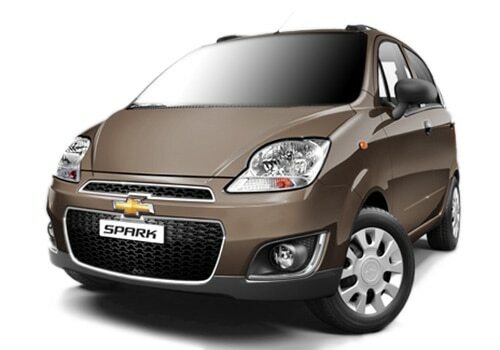 The facelift Chevrolet Spark price starts at just Rs. 3.19 lakh and it goes up to Rs. 3.99 lakh. In terms of fuel efficiency Maruti Alto 800 has the maximum fuel efficiency with 30Kmpl (with CNG fuel Option) and 22Kmpl (with petrol fuel option), which is really impressive. One who is concerned about the running cost must choose the Alto 800 as it give great mileage. However, Alto 800 falls behind Chevrolet Spark in terms of engine specifications and interior features. Let us compare the engine specifications of both these cars. Chevrolet Spark is equipped with 1.0 liter engine that can produce 63Bhp of maximum power and 90.3Nm of maximum torque. The engine of Spark is displaced at 995cc, which is not bad. However, the mileage of Spark is disappointing as it gives just 13Kmpl (with LPG) and 18Kmpl (with Petrol). The features of the car includes 5 speed manual transmission gearbox that helps in accelerating from 0-100 in just about 16 seconds. It has a top speed of just 157Kmph, which is decent. When it comes to the features, it has got air conditioner, power steering, power windows, cup holders and many other important features. Although, it is one of the most affordable Chevrolet cars, it has some decent set of features to impress you. When it comes to the Maruti Alto 800, it is loaded with 0.8 liter engine with a displacement of around 796cc. This engine can develop a power of just about 47Bhp of horse power and 69Nm of maximum torque. Most impressive thing about this car is its fuel efficiency and its brand new appearance. As discussed earlier, Maruti Alto 800 can give a mileage of about 30Kmpl with CNG fuel option and about 22Kmpl with petrol fuel option, which is unbelievable. With this, we can say that Alto 800 is the most fuel efficient of all Maruti cars present in the markets and spending money on this car will be far more than worthy. Thus, if you are looking for a decent, mileage efficient car then Alto 800 will be the best choice and moreover, it is the most affordable car in the market. 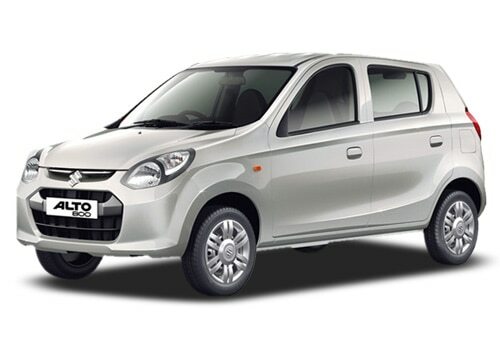 Maruti Alto 800 price starts at just Rs. 2.44 lakh, which is something that you can cheer about.